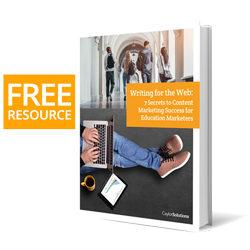 Most higher education marketers know how to make bold claims about the features of their institution—but it’s the transcendent values your brand is claiming that need special attention. Are you living out your brand? Every day, your brand is making promises to your audience. Following through on these promises is crucial to maintaining trust in your organization’s brand. Of course, there are the obvious promises like the quality of your degree programs, the intimate feel of your faculty-to-student ratio, and the “world famous” pizzeria in your dining hall. For most colleges and universities, these promises are being kept with as much excellence as the budget will allow. From what I’ve seen, it’s the intangible promises that trip up marketers. What are the intangible values and beliefs your organization stands for? Take an inventory of the unique set of beliefs and values your organization prizes. 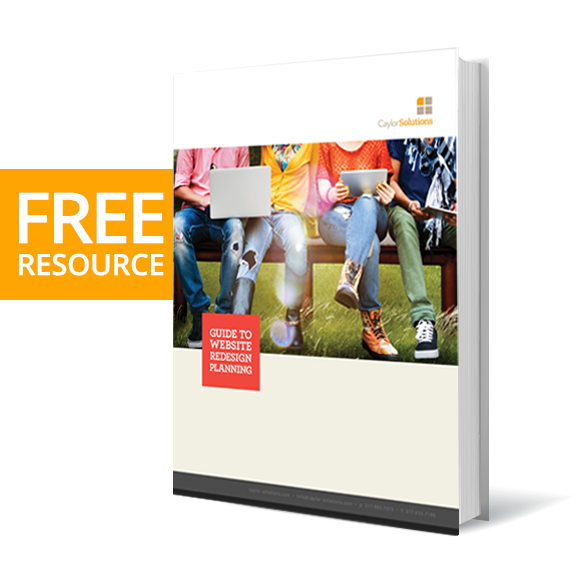 If done right, you’ll need a good amount of time to assemble this list as you evaluate your institution’s history, current leadership direction/objectives, and campus atmosphere. Once you’ve identified the values that fit your brand, the next question follows naturally. Do your messaging and marketing say it for you? Make sure your marketing messages across all channels are clearly communicating the corporate values your brand embraces. When you inject the passion of belief into your marketing, the features of your college or university will suddenly have deeper meaning. We have over 100 student social clubs because you belong here. We have student leadership opportunities because leadership starts before you’re a leader. We have student research projects where you work side-by-side with our faculty on leading edge research because curiosity shouldn’t start at graduation. Take advantage of the power in your core values. Make sure your marketing is saying it for you loud and clear. Are you living out your brand? We claimed values that we want our organization to exemplify rather than values we actually embrace. You may want your school to be innovative, but if your institution isn’t solving real-world problems, you’re not being innovative—and that’s okay. Find what your organization truly values and market that. We claim values of institutions we admire rather than our own. This is a big mistake because you’ll never be them. You are unique, and as such, you can claim a distinct part of the market for your institution. When you try to mimic the marketing messages of other colleges, you miss out on the unique edge you could have in the market and worse yet—you’ll fail at being like the others. Before making a brand promise in your messaging, count the cost and decide if you can do what it takes to prove it. Nowadays, audiences are savvy and have access to all the information they need to see if you’re holding true to your claims—right from their mobile devices. Provide volunteer opportunities for your students and staff, and set an example by being the first one to roll up your sleeves. Whether it’s volunteering to clean up a local park, singing carols at a nursing home, serving in local Boy or Girl Scout events, or providing a meal for the homeless—encourage your staff and faculty to get involved. Make sure your representatives are wearing your brand when they do volunteer. Outfit them with clothing with your logo on it and give them handouts to give away with your content marketing pieces. Schedule a photographer or videographer to capture your brand in action and broadcast it through all your marketing channels. As an organization, consider giving to a non-competing organization whose values you support. Partner with them on initiatives that match your brand promise. For example, if you value leadership, then sponsor a leadership forum put on by your local chamber of commerce. If you value diversity, sponsor or facilitate interracial dialogue in town hall meetings. And don’t forget to encourage your employees and students to give their own money to causes they believe in. Also, if you’ve got the budget, set up a matching gift program. Living out your brand is making sure that what you say in your marketing is the reality people see. Living out your brand is critical to maximizing your marketing ROI, because when your audience believes your brand promise, they’ll give you their loyalty. It’s worth mentioning here that living out your brand isn’t something marketing can do on its own. Living out your brand requires the united effort of leadership on all levels. And that’s what makes it so darn hard to do. If there’s something off in your messaging, you can easily fix it, because you have control over that. But you don’t have control over what the other teams in your organization do. So how do you make sure you’re living out your brand if you can’t pull all the levers in your institution? Involve leaders throughout the organization in your value identification process. Don’t make up these core values on your own. When you involve other leaders in the process of identifying your organizational values, they’ll own them and be more likely to live them out. Affirm team members whose actions line up with your brand’s values by mentioning them in your messaging. Do a case study on what they did that exemplified your brand promise. Quote them on a web page or annual report. What you reward will grow. Market your brand values to team members inside your organization. Intra-marketing, if you will. Talk about your values at the water cooler and at meetings. Create banners and posters with value statements on them and post them in meeting spaces. Pass out branded pens and other items that can carry your value statements. Don’t assume that everyone knows your core values just because they work there. So make the decision to start living out your brand, and watch how your marketing becomes more efficient and profitable.